Raised by an adopted family herself, she felt lucky because she was raised up in a very loving and supporting environment. This makes her want to help the others in return. Her heart melt whenever she sees the hardship that children has to face. 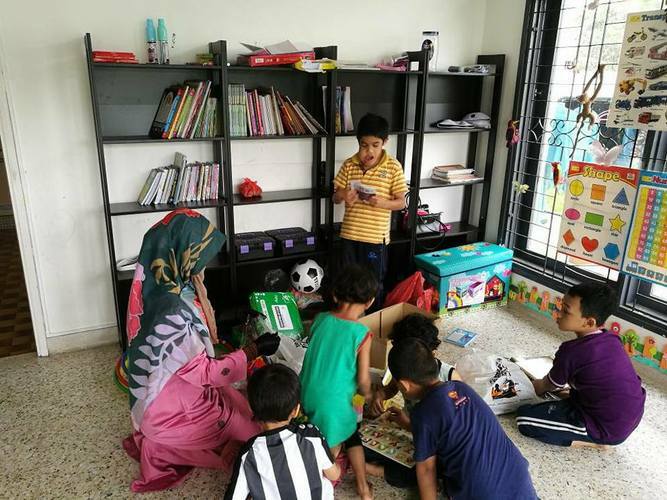 Thus, she decided to open up Pertubuhan Kebajikan & Perlindungan Al-Haq that is now a home to 14 kids with different background including victims to physical and sexual abuse aged 7 months until 14 years old. Nor Fardilah Mohd Sabki, 40, is a women with noble heart because she loves all the residents unconditionally regardless of their background. What is more amazing is she is willing to operate a catering business in order to support the shelter and the kids. But since she has some limitation due to her slipped disk and she ha to take care of her sick mother as well, she can’t run the catering and baking business properly this month. Regardless, the needs of the children still need to be taken care of. Therefore, this campaign is launched to support the expenses of the kids and to run the house for this month only (1 month). No matter how hurt she is, the kids are always the priority and they should not affected by her hardship. All Children are created equal, thus they should have the same opportunities in life, the chance to grow up healthy and happy, to receive a good education and live in a loving and caring environment``. Pertubuhan Kebajikan & Perlindungan Al-Haq is currently sponsoring 14 orphans of different backgrounds. For as little as RM5, your help can provide for vital needs and comprehensive care for orphans and their families. Your contribution go towards easing their hardships and enhancing their quality of life prospects. From your kind contribution, Pertubuhan Kebajikan & Perlindungan Al-Haq can use the profit from this month’s catering business for next month’s expenses. And it will help the house to sustain by themselves in the future. Provides invaluable opportunity . Education is something we can give a child that no one can take away. Going to school gives a child more financial opportunities later in life, along with valuable social skills and important relationships with peers and teachers. The orphans we sponsor would not otherwise have the ability to attend school.